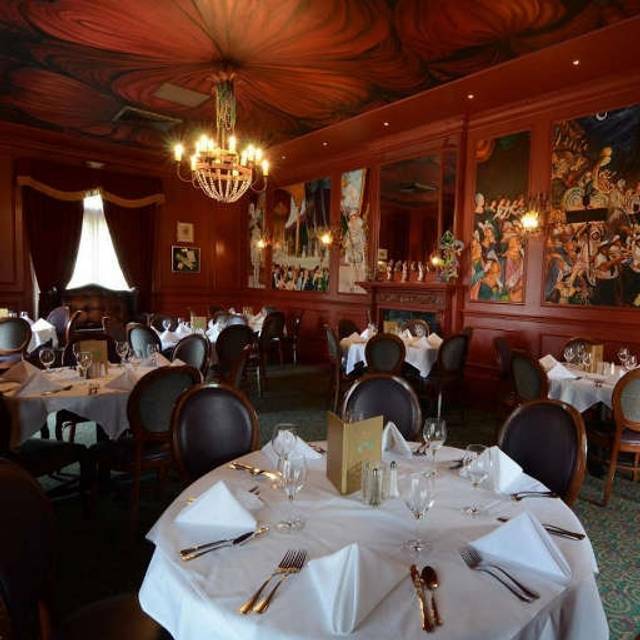 Live nightly music in the Flambeaux Room ranging from solo players to full jazz bands! 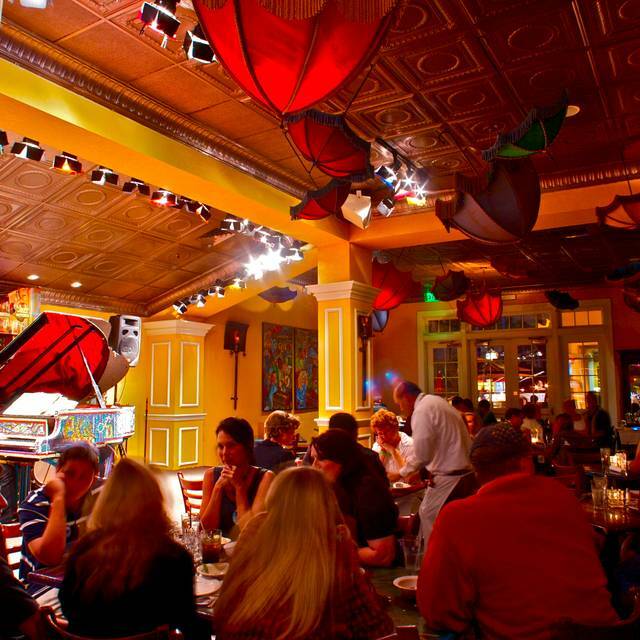 Ralph Brennan's Jazz Kitchen is a one-of-a-kind, independent restaurant delivering an authentic New Orleans dining experience. From our mouthwatering Louisiana cuisine to our festive 'Big Easy' themed decor, every detail of Ralph Brennan's Jazz Kitchen delivers on the promise of New Orleans. 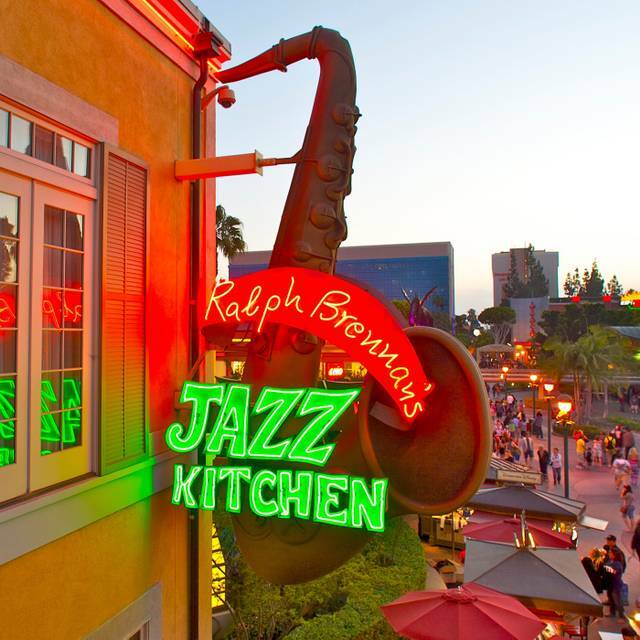 Located in Downtown Disney District, this two story replica of traditional French Quarter architecture includes an open air interior courtyard flanked by a quick service dining facility and a New Orleans style jazz club. 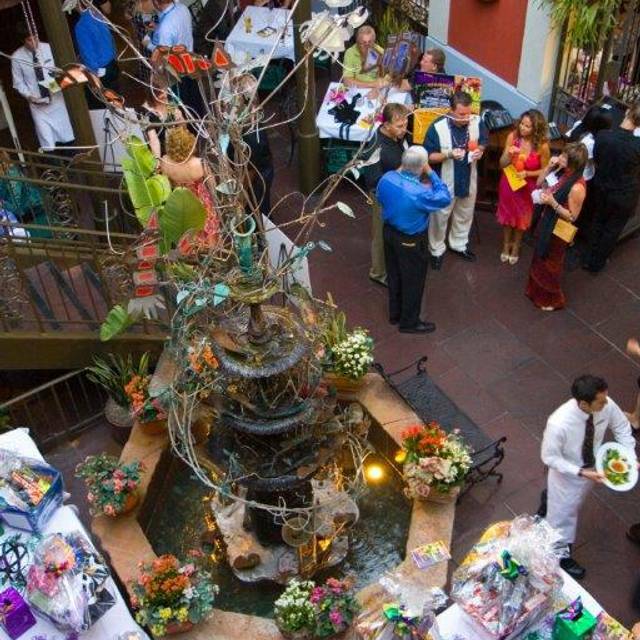 Upstairs you'll find casual-fine dining presented in whimsical New Orleans style dining rooms and an exterior Jazz Balcony overlooking the revelry of the Downtown Disney District. 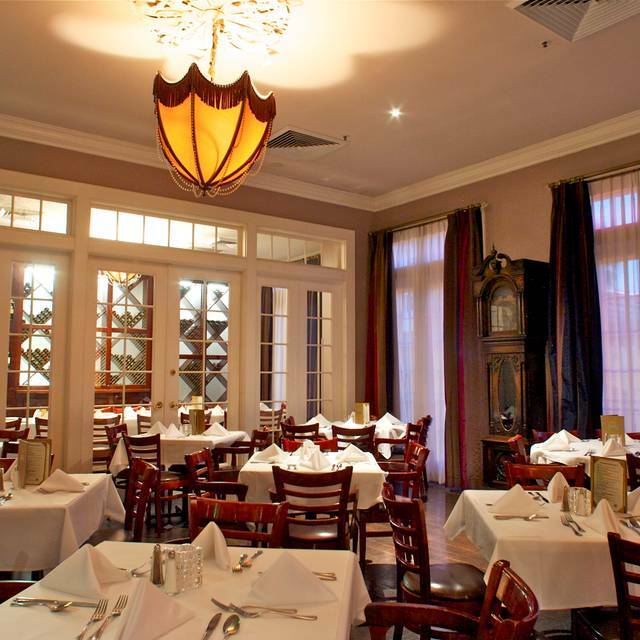 Our chefs proudly serve the finest indigenous Louisiana ingredients and have peppered the celebrated well seasoned flavors of New Orleans cooking throughout our menus. 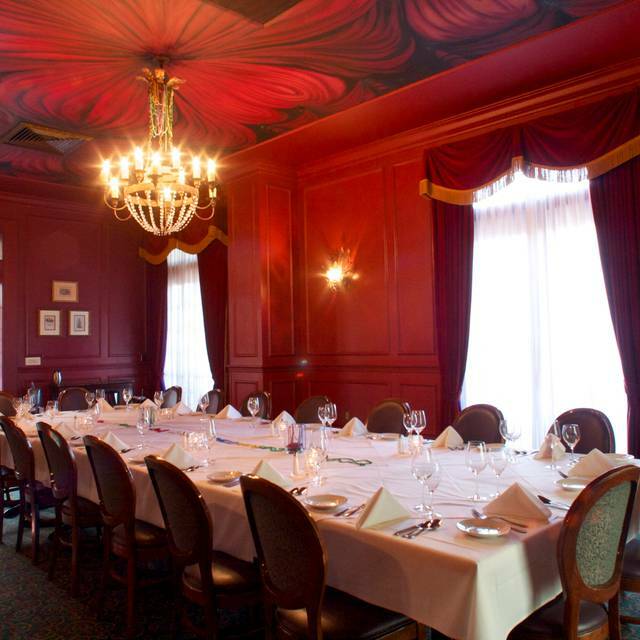 Ralph Brennan's Jazz Kitchen accepts lunch, dinner reservations and offers private party facilities. A combo of Don Q Rum, Myers's Rum, orange juice, pineapple juice, grenadine and a float of Don Q 151 to blow you away! Love this restaurant. Food and service were great as always. Been coming to this place for 15 years and it never disappoints. Booked Jazz Kitchen for our ANNIVERSARY and made the reservation nearly a month prior. We were looking forward to it after having read so many great reviews. Sadly, we got there and all of downtown Disney and the restaurant were so crowded. Then, we were tragically seated right next to the entrance of the restrooms! Overall, the noise level was loud, servers all seemed hurried and were bustling about. We didn’t hear any music, and that’s one of the things we were excited about. My husband ordered the Jambalaya as it’s one of his favorite entrees, and I got the Caesar salad. The food came super fast, and seemed like it wasn’t freshly prepared as expected - definitely not worth the cost! No one ever mentioned our anniversary, and it really seemed like they didn’t take notice because of where we had been seated (by the restrooms! Really so sad!) Take your money and make a reservation elsewhere, you’ll likely have a better experience going anywhere else! Phenomenal dining experience. Everything was above and beyond expectations. Special thank you to General Manager Chris for making this dining epic! WOW factor as usual. The service was amazing, our waitress went above and beyond to make my mom's birthday special and the burgers just the way my picky eaters like them. Our drinks were brought promptly as was our food. They even sliced up and served the cake we brought from home. I can't say enough about the service and we will be coming back here for sure. The food was good, some in our party thought it was spicy but I thought it was more flavorful and peppered. I have eaten at very high-end food places and this was one of the best places I have EVER been to. It was fun, and the food was AMAZING!!! Wonderful venue. We were seated in the room with the live entertainment and just at the foot of the stage. The pianist K. Andre Wilson was phenomenal & so was the food. Food was rather disappointing. Not like it use to bed. Maybe different executive chef now. we don't really have any good cajon restaurants in the area, besides Ralph Brennan's. Love being able to sit outside up stairs enjoy a great donner and then watching the Disney fireworks.. spectacular way to spend an summer evening. The food here was very hit & miss. The appetizers we ordered of boudin balls were good and the gumbo was very good. But the jumbalia was terrible, very bland, and the craw fish mashed potatoes were bland as well. Corn bread we ordered while good corn bread lacked any real jalapeños spice to it which was why we ordered it for it’s supposed spicy 🌶 uniqueness. In short main dishes were Not at all what we were expecting and hoping for, especially for the price point. The live music was very good but it was very loud too—especially when I had specifically requested a table on the patio & courtyard, which was Not honored. Made it very difficult to hear all night long, both conversation at our table & with the waiter. It also resulted in the waiter bringing us a chocolate soufflé that we did not even order but he mistook my responding to his description of the dessert & the time frame needed to prepare it (which I could barely hear from him over the Loud music & clearly vise verse) as my ordering it. We initially assumed the other couple we were with had ordered it but when they did not touch it we realized it was brought to us by mistake & by that time it was impossible to locate our waiter to correct the error, so we just absorbed the unexpected & unwanted cost & picked at the dessert, which was very run of the mill too. We were just glad it wasn’t as expensive as the rest of the disappointing dishes. In short we will Not be returning or recommending this place to anyone. We had two families together and celebrated a one year old bday w beignets and peach cobbler. The live jazz from in-house musician Kirk andres Wilson (and jeweled piano) was such a treat for us & the kiddos. We will be back for sure - thank you for taking such great care of us!!! We had such a great time with the jazz music and delicious food! The entertainment was lively, food was delicious, and service was excellent. Will definitely be back to celebrate the next birthdays and anniversaries!! The Food was very delicious. The service was excellent and we felt welcomed. They accomidated our large party. It was an enjoyable experience. Very knowledgeable staff appreciated their input. Food is top rated. Tables are close together so it makes it a little noisy. Great ambiance. Love this place! We go every time we visit the food and service is always great. Would like to see the breakfast/brunch menu come back. The best place to go with your spouse or the whole family. Get the bread as a starter. It doesn’t disappoint. So much fun I sent my oldest son and his girlfriend the next night. Ask to be seated with Danielle on the patio. Always a great experience at the Jazz Kitchen! We will definitely be back. The only thing that I have to complain was the dish. I chose the new york steak as my dish but it had alot of nerves so it made it difficult to chew and I order a medium rare steak but the steak felt dry like a medium well but other than that the view and the atmosphere was beautiful. Must go thru Disney's security, rude people, loud and noisy could not even hear waitress. Arrived 6 minutes early and told we had to come back when it was time. Very corporate attitude. Food was ok but not worth the price I could cook better. Felt rushed when buss people saw you put down plates they grabbed them then asked if it was ok to take them. But most of all not really New Orleans food, ie. The Creole Caesar salad was just a Caesar salad and the name changed, really? This was a great place to eat the food was excellent and the service was great!! Considering the highly trafficked tourist destination the food was very good and the service excellent. 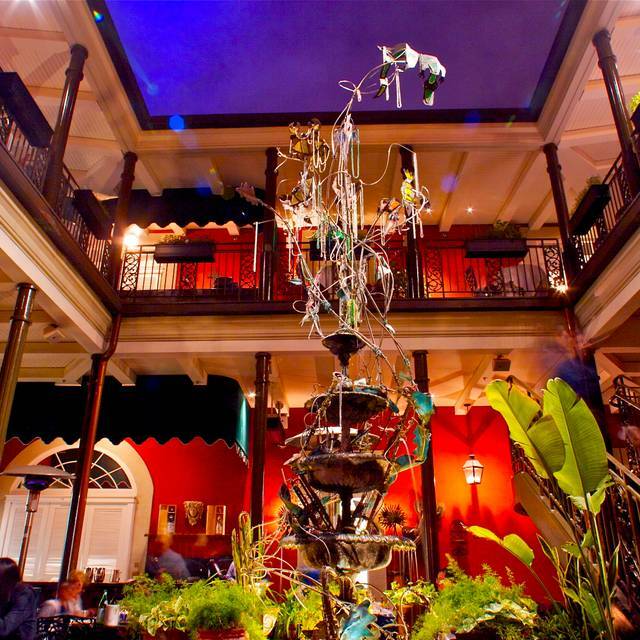 It’s a fairly true to form representation of creole cooking in a nice disneyish atmosphere. The servers went out of way to accommodate us and they were great by any standard. Fun environment with great jazz music. Our waiter was so helpful answering all our questions about how spicy things were. We all loved our dinners. Such great service, I will definitely be going back. And the beignets are to die for! Overall one of the best places I’ve eaten at in a long time. I go to Ralph Brennan's every year to celebrate my birthday. 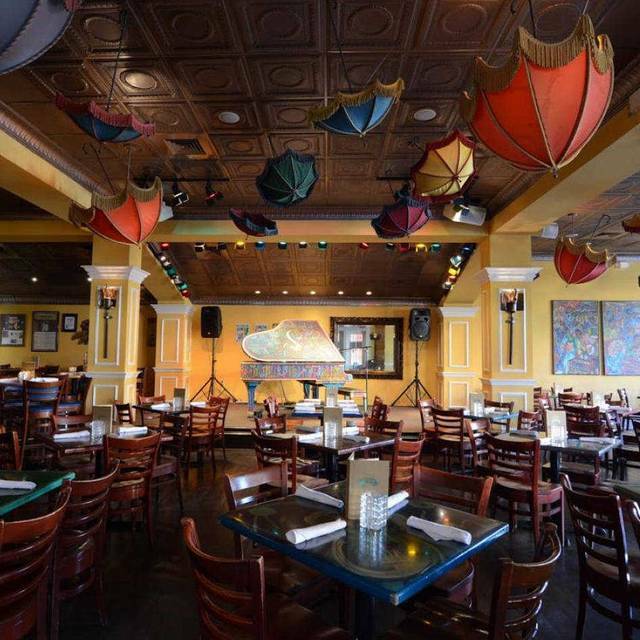 The live music is nice, the food is always amazing, the staff is incredibly on-point and friendly, it's an incredible experience. I look forward to this dinner all year for good reason. Service was horrible, my sisters birthday and all (3) other tables servers sang happy birthday,NOT ours, she was rude, short with response and seemed not to like her job, unfortunately she took it out on us..
St Patrick Day! Amazing meal, wonderful service. The appetizers, food and drinks were outstanding and soo delicious. I was especially grateful because the restaurant manager made a special exception for us and sat us at table that was further away from a door where there was a very cold draft. The section wasn't open but he found a server who was willing to take on an extra table in her section to accommodate our request. We greatly appreciated this kindness shown to us. We dined comfortably and had a great time. Manager went out of his way to make our requests happen! We were very pleased. The tables are placed very close and the noise level is a bit excessive. It was difficult to have a conversation without yelling. The food and service was good. We had an amazing meal and great service by Scott. It was a fun night all around. Great food and drinks. The band is a bit loud if you are close but very good. 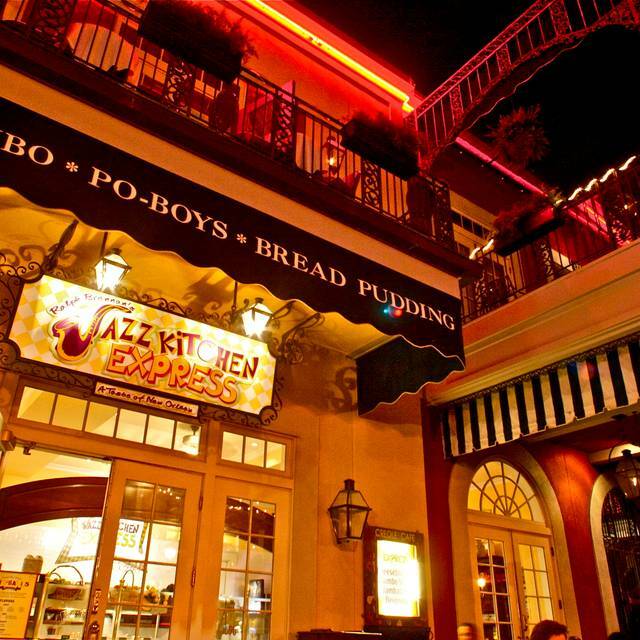 Being from the Bayous of Louisiana, Jazz Kitchen is the only place in Southern California that I can go and feel completely at home. I love this place. The service is impeccable! The food is outstanding! Went for Fat Tuesday with a reservation and was seated right away. Great food, music was also good. Wish we could have sat inside but was told it was over an hour wait.